Headache? Fed up with the world? Annoyed at something? Chances are you’re thinking about yourself. It’s hard to be selfless. In a world filled with fear, we’re always trying to protect ourselves. I must lock my door, I must make sure people like me, I must do this so that person will like me more, I must make sure I’m safe, I must look after myself, because who else is going to? If I do this I’ll be happier. If I do that I’ll be better. These thoughts are based on a fear of some sort. Fear of rejection. Fear of insecurity. Fear of something. There’s no acceptance of our current situation. We lose our real selves, beings of love, through fear, and fear is everywhere. It consumes us in the media, it consumes us in our lives. We’re always insecure, lacking in confidence, constantly worried about something. Yet, a transformation can occur every day. It’s a simple solution. 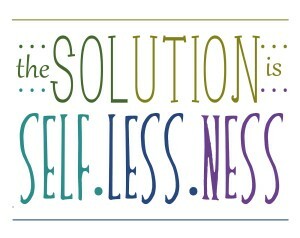 It’s all about not thinking about oneself. Cultivating a generous nature of spirit, a path to loving-kindness for others, reaches a part of us that’s always there, it’s just shrouded by all our fear. The real nature of meditation isn’t a selfish pursuit, it is a discipline so we can calm our minds, calm our spirit, so we stop thinking about the self and look out, building our resilience in the world and reducing our fear. Without fear, our natural love emerges, our natural tendency to want to help those who are suffering. The ironic thing is that if we were more selfless, people would be more likely to help us, more likely to like us, more likely to look after us. 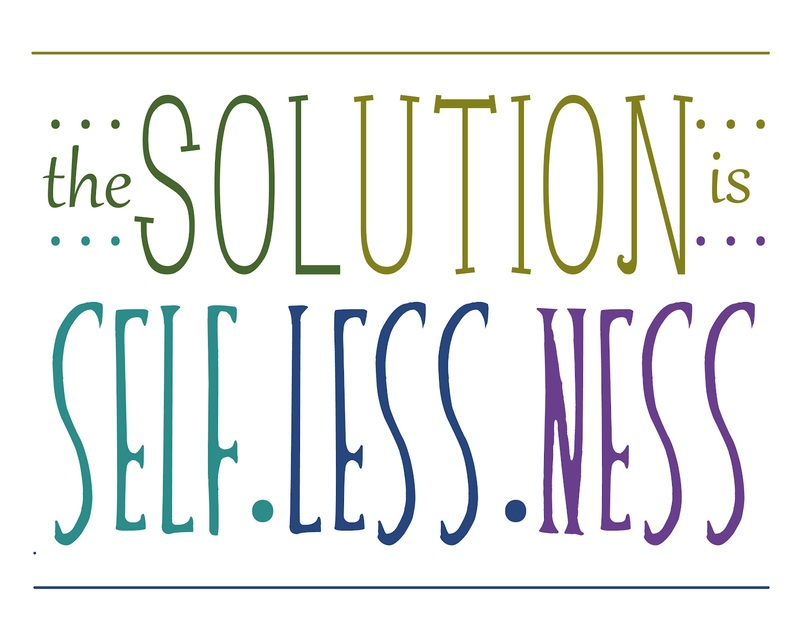 By being selfless, we’re actually helping ourselves. So why don’t we do it more? Well, we are creatures of habit, after all. By doing so, we’re not doing it out of a self-righteous expression to assuage our own guilt (also a fear). We’re doing it for the sake of doing it, because by helping others we transform our miracle of life into something greater: a combined, community of souls, striving to assist one another on the great journey we’re all on. We’re all beings of love, just wanting to reach out and share everything. It’s an art, no doubt about it. But just remember, when you’re feeling down, ponder whether you’re thinking about yourself, and if you are, you have an opportunity to change your mindset. Let go of that ego, come back to the community: the community of humanity. We can all help ease suffering, if we decide it within ourselves.